Some would reply to the headline by saying “You don’t need running shoes to run, but it helps.” It is important to recognize the ability to have fun and the consumption of alcohol are not mutually exclusive things. Coming to university is an exciting time. It’s an opportunity to meet new people, join clubs, explore your interests and start the pursuit of higher education and knowledge with new friends that will hopefully be with you for the rest of your life. There is also more autonomy that comes with the distance and decreased control from parents and guardians. Probably the most noticeable difference though, comes with alcohol and partying. Pre-drinking, going out and waiting in long lineups to go to the bar are common occurrences in the life of an average university student. Before even stepping foot on campus, the thought of drinking and partying is on everyone’s mind. It’s the elephant in the room when prospective first-year students tour this campus. It becomes a part of the university experience almost immediately once they get here. There is direct and indirect peer pressure involved when it comes to drinking at university. 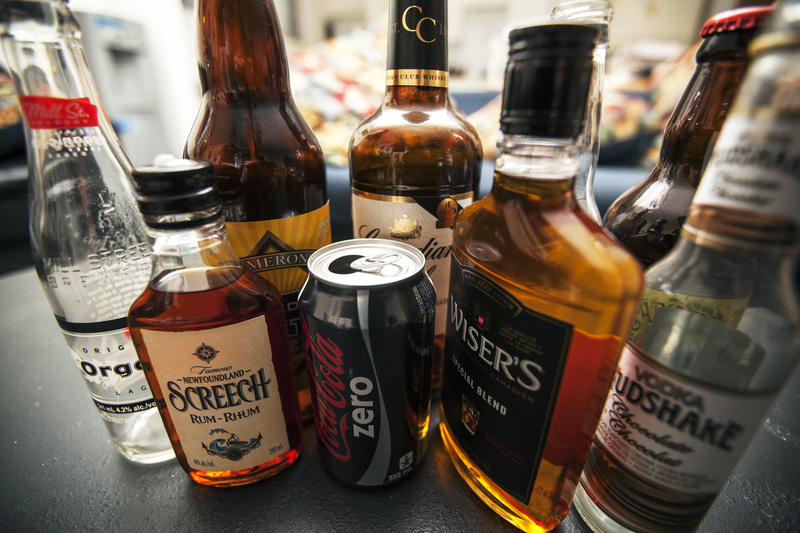 For many students who haven’t already had experience with drinking, they feel obligated to indulge in this social norm for the sake of experimenting and fitting in. University is about stepping out of your comfort zone and trying things you haven’t tried before. This being said, it’s important to engage in new experiences because you want to and not because you have to.I am one of those kids: I have never consumed a drop of alcohol in my life. It doesn’t make me a saint or a messiah to look up to, and those who do choose to drink aren’t evil. It is a personal choice and a lifestyle I abide by with pride because it is who I am. But it didn’t sit well with my intuition. This is a reality for many other students. Finally, I realized that because I shut myself out entirely, I was losing out on my own experience. I decided I wasn’t going to give up who I was. Instead I would embrace that my choice not to drink is a part of my lifestyle. Fortunately, we are very lucky to go to a school which is known for its accepting environment and inclusive student body. At parties, there were always a few questions on my reasoning for not drinking and after that, no one seemed to actually care a whole lot. People were willing to talk to me regardless of my sobriety, which is all that matters. Positive dialogue is what we all need. To engage or not in drinking is a choice. A decision people should make for themselves rather than being forced into by external influences. Regardless of what you choose to do or not, you shouldn’t be excluded by the other side. It is possible for those who are sober and those who are under the influence to have fun and enjoy each other’s company, even though that bond may diminish once the latter has had a little too much. It’s about finding a balance with what works for you, not what works for everyone. University isn’t all about drinking. Too often, it tends to be our only conception of having fun. It is okay to stay in and watch Netflix. It is okay to have a board game night with your roommates. It is okay to go to the bar or a club and be sober. I’ve played many games of flip cup and beer pong. Instead of drinking alcohol, you can substitute it with water or pop. Trust me, people will not judge you for that. On the contrary, a lot of people will respect you for choosing not to drink and for still coming out and socializing regardless. Whatever your reason may be for not drinking, it is your choice. Whether it is for religious, cultural or personal reasons, or even if you’re not feeling it that night, any reason is justified. People will respect you for being who you are.